Our team comprises individuals with expertise in education, creative problem-solving, conceptual development, group facilitation, strategic planning, partnership development, community building, and fundraising. After two years as Primary Teacher at The Early Learning Center in Stamford, Connecticut, and five years with Synectics, Inc. of Cambridge, Mass., a consulting group specializing in creative group problem solving (the last two years as Director of Training), Peter Bergson co-founded Open Connections, Inc. in 1975 with his wife, Susan Shilcock (d. 2005) and was executive director of its non-profit resource center until his retirement in 2009. He continues to serve on OC’s board and its development committee. He co-founded Natural Creativity in 2015 in order to bring self-directed learning and partnership education to inner city Philadelphia. He has served as Chair of Lifecycle WomanCare in Bryn Mawr (formerly The Birth Center), has served as an independent creative process consultant, and has self-published two books: Open Connections: The OTHER Basics, and Spaces for Children: Work/Play Environments for Home and School. A graduate of Harvard, he is the father of four grown unschoolers and grandfather to six more. Chris Steinmeier earned his MSEd (2008) and EdD (2014) in Educational Leadership from the University of Pennsylvania’s Graduate School of Education. While enrolled at Penn, he worked with several research teams, facilitating citizen forums on issues confronting Philadelphia residents, measuring the impact of augmented reality devices on informal learning environments, and exploring issues of power and authority in local public schools. His dissertation addressed the experiences of non-religious homeschoolers. This aided in his building relationships with current homeschoolers and unschoolers across the city and into the suburbs. Chris’s teaching career has included Montessori schools, a juvenile justice program focused on group therapy and restorative justice, multiple Masters-level classes around issues facing urban schools, and a number of individual classes and summer camps focused on the arts, science, poetry, chess, and music production. He spent six years as Program Director in an educational non-profit, where he oversaw program implementation and strategic planning for six schools, serving 2500 students and leading the professional development of 200 teachers. At Natural Creativity, Chris is Lead Facilitator and is Director of Programs. Neesha’s family immigrated to the United States in 1987 from Jamaica when she was nine years old. The move to life in an underprivileged Bronx neighborhood, with its social and economic systems in deterioration, and her being one in a million in the vast NYC school system where the individual is sacrificed in favor of the crowd, were in stark contrast to her early life in Jamaica, where she had lived in a small, cohesive community where social and financial systems were based on trust and bartering and she was schooled in a one room schoolhouse. Neesha survived elementary, middle and high school in the Bronx, however, and went on to earn a Masters in Fine Arts and an Advanced Certification at CUNY Brooklyn College. She subsequently taught in both NYC and Philadelphia public schools, primarily as an English teacher. Since moving to Philadelphia, she has taken both upholstery and sewing classes while teaching herself dressmaking, a skill that she is sharing with the youth at Natural Creativity and which she is expanding upon with sewing and garment construction classes at Made Institue. Neesha and her husband, Gideon, frequent auctions in the Philadelphia area, scouring for old furniture for her to re-upholster and wood and tools for him to use in his custom furniture-making business. Natural Creativity recently benefited from two such ventures, which resulted in our getting a magnificent old sewing machine, baskets full of sewing supplies and material, and several barrels of dowels for our woodshop. Tess Liebersohn grew up in Mt. Airy, a few miles away from Natural Creativity. She attended Philadelphia schools and earned a B.A. in linguistics and French language from the University of Pittsburgh. Post-college adventures jogged a varied path, including teaching English in France, writing about science for the EPA, and hiking 1000 miles solo on the Appalachian Trail. Six summers as a camp counselor, including significant time at one in northern California, introduced her to Nonviolent Communication and the power of play. This led to Tess pursuing an M.Phil.Ed. in Professional Counseling from the University of Pennsylvania (2018). Her original intentions to be a school counselor were put aside when she discovered NC and the wondrous web of self-directed education. Without even realizing it, working as a facilitator at NC has fulfilled Tess’ dream of working at a “campschool,” a place where young peoples’ hopes, choices, and inner worlds are respected and celebrated. Outside of NC, she is an improv comedian, wannabe triathlete, and lover of all things wordy. Al grew up in New York before his family moved to East Africa when he was ten. This kicked off a number of years spent living in various locales in Cameroon, Togo and Kenya. He obtained a B.A. in International Relations from the United States International University in Kenya. Having spent most of his life sojourning across three continents, he arrived back in the U.S. and took a dive into the world of education, spending two years working at a charter school in Delaware. Although the experience of working at a school in an urban environment proved to be one full of personal growth and intrigue, the opportunity to work in a setting where young people are encouraged to take the initiative and direct their own education resonated deeply with him. Al brings an eclectic palette to the NC community with a love for the arts and a curiosity for the sciences, which he offers for inspiration to our young people. 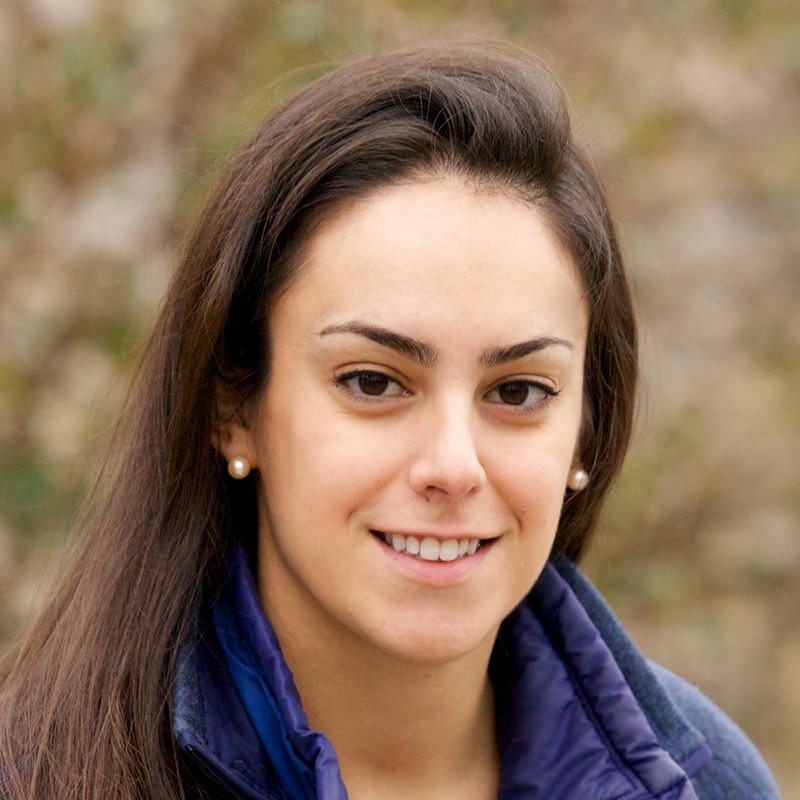 Emma earned her bachelor’s degree in Neuroscience and Behavior from Wesleyan University in 2012, with a focus on human memory and learning. She first became interested in self-directed education when she took a gap year between 10th and 11th grade; instead of attending formal school, she took a month-long desert survival course in Mexico, then spent the remainder of the school year at an outdoor education program in Leadville, Colorado called the High Mountain Institute. After returning to boarding school for two more years, she spent the summer before college working at the Princeton-Blairstown Center, an experiential learning resource for urban youths operated by Princeton University. It was here that Emma first started to consider the complex issue of education equity in urban schools. Emma worked in several departments while at Wesleyan, including Undergraduate Admissions, Disabilities Services, the University Librarian’s office, and a reading laboratory in the Psychology department, exploring not just the science of learning but also the science of education. Her senior Capstone project involved teaching a course on the neuroscience of drug use and addiction to youths in juvenile detention. Her previous position was Brand Manager for a sports technology company, where she developed the skills in marketing and web design that she is now applying on behalf of Natural Creativity. Adam was born in California at the dawn of the personal computer revolution in 1975. He cut his teeth on an Apple II+, and was the first student in his elementary school to turn in homework that was printed at home on a dot matrix printer rather than hand-written. He graduated from a top-ranked public magnet school for science and technology in Fairfax, Virginia — the first high school to host a supercomputer, and one of the first 100 .edu sites on the Internet — enabling him to discover the joys and horrors of email as early as 1992. He attended Hampshire College in Massachusetts from 1993-1995, where he ran a website from his dorm room which was listed in the Yahoo Directory. Adam spent more time writing HTML than writing papers and “rose” out of college to help the National Education Association launch its first website. He has been helping people and computers get along better ever since, as a web designer/developer, project manager, and IT professional. He runs Ask Adam, an Apple-focused technology consulting business based in Philadelphia. Adam and his wife, Lorraine, are raising three children outside of traditional schools. Their daughter Mira, 7, has attended The Natural Creativity Center since December 2016. Bob is a seasoned healthcare industry and not-for-profit expert and project manager with over 25 years of experience in healthcare operations in both consulting and non-consulting positions. His current work is with an internationally renowned University Health System, Penn Medicine. A significant strength of Bob’s is the ability to develop strategic plans, implement those plans with superior results, and continuously improve operations. He is certified in Six Sigma techniques and a certified PMP. his education includes an MBA from Temple University. His undergraduate BS with a major in Finance is from Philadelphia University. Bob is a lifelong resident of the Philadelphia area having grown up in northeast Philly, and currently lives in Delaware County, a suburb of Philadelphia. He is married with two grown sons and one grandson. 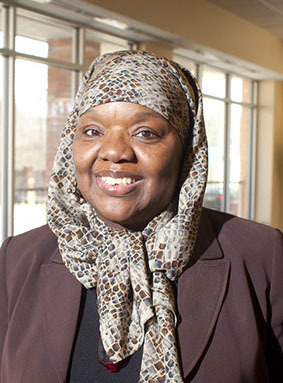 Majeedah Rashid joined the Nicetown Community Development Corporation while studying community economic development from a resident driven perspective at Southern New Hampshire University’s Community Economic Development Masters (CED) Program. In 2002, she helped secure the first OHCD contract to establish the Nicetown CDC Neighborhood Advisory Committee, (NTCDC/NAC) delivering vital services to low-moderate income residents in 15 census tracts. In 2003, Ms. Rashid was appointed as the Chief Operating Officer of the NTCDC, responsible for managing operations of NTCDC projects and programs. Working with the community, Ms. Rashid focuses on identifying the true needs and conditions of Nicetown, to justify the NTCDC’s programs and projects. In 2009, Majeedah was the catalyst to securing a 10-year $1,000,000 partnership with Comcast, with the City’s CDC Tax Credit Program. In 2013, the NTCDC gained recognition for excellence in community development from the Philadelphia Association of CDC’s, (PACDC) for their Nicetown Court I & II developments. These developments yield 87 affordable rental housing units, and 6,000 sq. ft. of commercial space in the transit oriented gateway of the historic Wayne Junction train station. She was recently appointed by Mayor Michael A. Nutter to serve on the Board of the Philadelphia Land Bank. 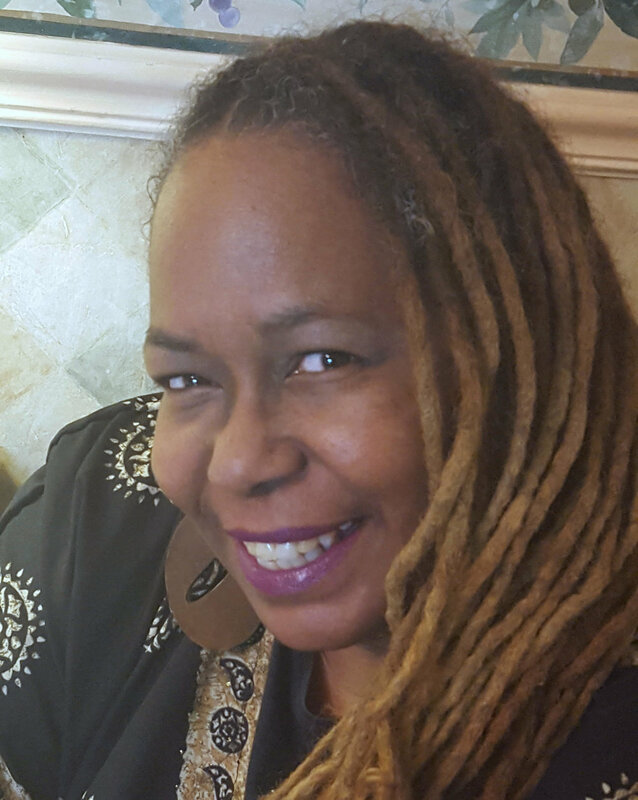 She is a Board member of the Philadelphia Association of Community Development Corporations and also serves on the Temple University Construction Oversight Committee, City- Wide NAC Alliance, and the Warren E. Smith Behavioral Health System Advisory Board. Diane Cornman-Levy is a community activist, healthcare professional, educator, and non-profit leader who has had more than 30 years of experience designing and implementing innovative approaches to building the capacity of youth, families, adults and communities, with the overall goal of breaking the cycle of poverty. Prior to helping launch The Natural Creativity Center, she was the Executive Director of the Federation of Neighborhood Centers, a non-profit organization that provides health and human services to more than 35,000 disadvantaged individuals per year. In January 2017, she became the Executive Director of Women’s Way, the leading funding, advocacy and education organization for women in the Greater Philadelphia region. She has developed as a lifelong autodidact with interest in law, chakra healing, meditation, research, ancient history and business. Angela is the mother of three beautiful humans from whom she learns daily. “I guess it was destined for us to unschool”, she says.